Over Thanksgiving we marblezed some beautiful white pumpkins and I adored the way they turned out. This time I wanted to show that you can do the exact same thing as we did with the pumpkins simple with eggs! Its actually a super simple process. 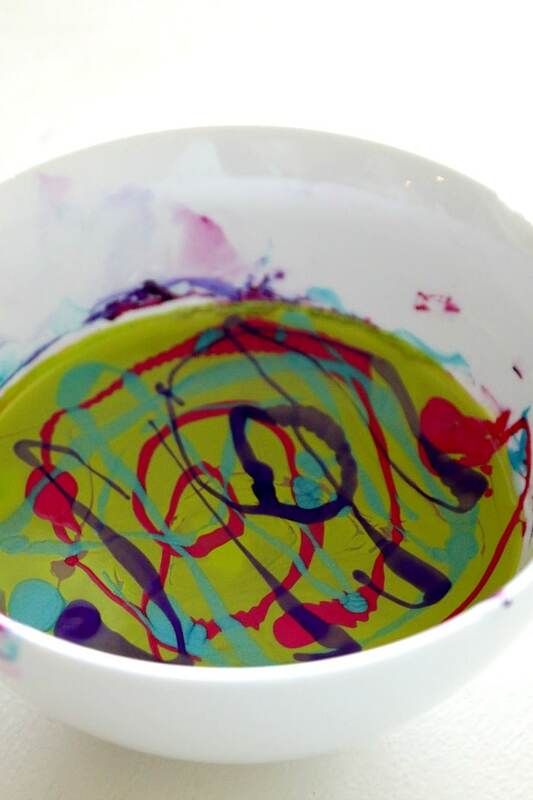 You can check out my other article for a step by step, but all you do is light pour nail polish into a bowl of water in a design. I generally take 3 colors and pour in a steady stream of circles and dots until I have the design I want. 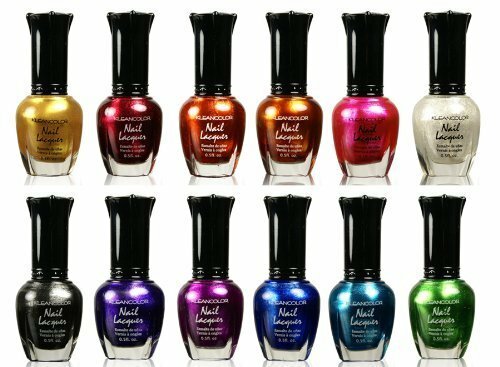 Because nail polish easily lifts OUT of water, it sticks to anything you put in. 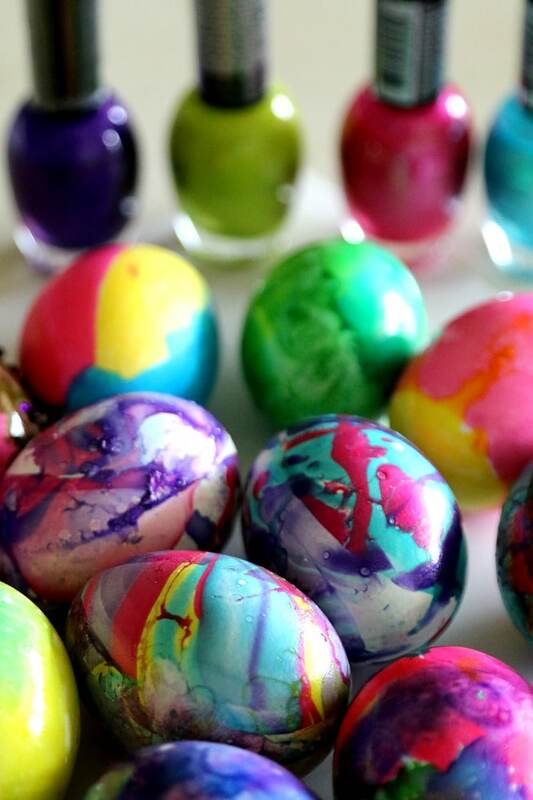 This can mean nails, pumpkins, or even Easter Egg designs as we did below. BEFORE YOU GET STARTED, BE PREPARED!! 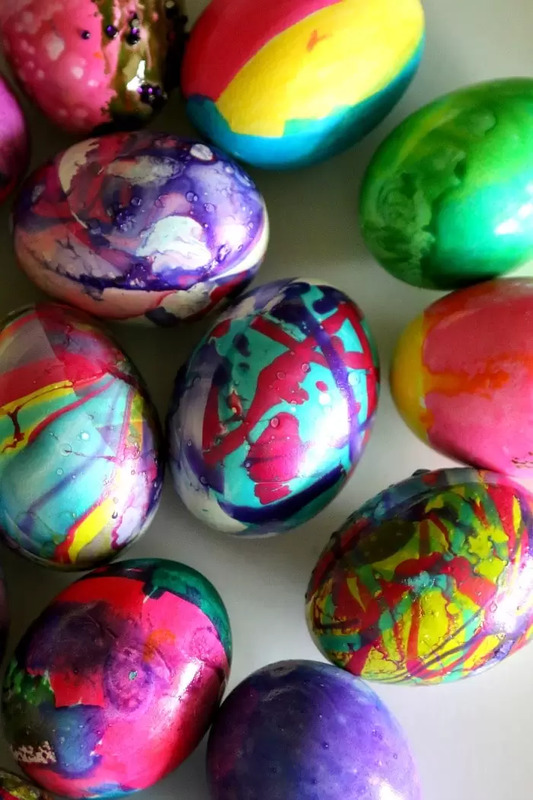 This is not only a fun way to use up some last bits of nail polish, but provide a really unique way to decorate your eggs WITHOUT a kit. Now remember, your fingers will get a little nail polish on them so trust me when I say to have remover on hand before trying this. Okay those seriously way too pretty! 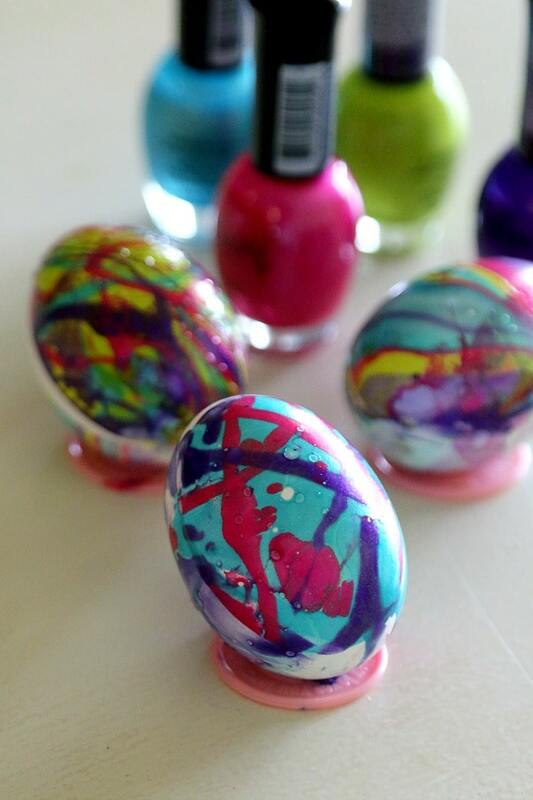 Now I wish I hadn’t thrown out all of my girl’s nail polish, this would have been fun!